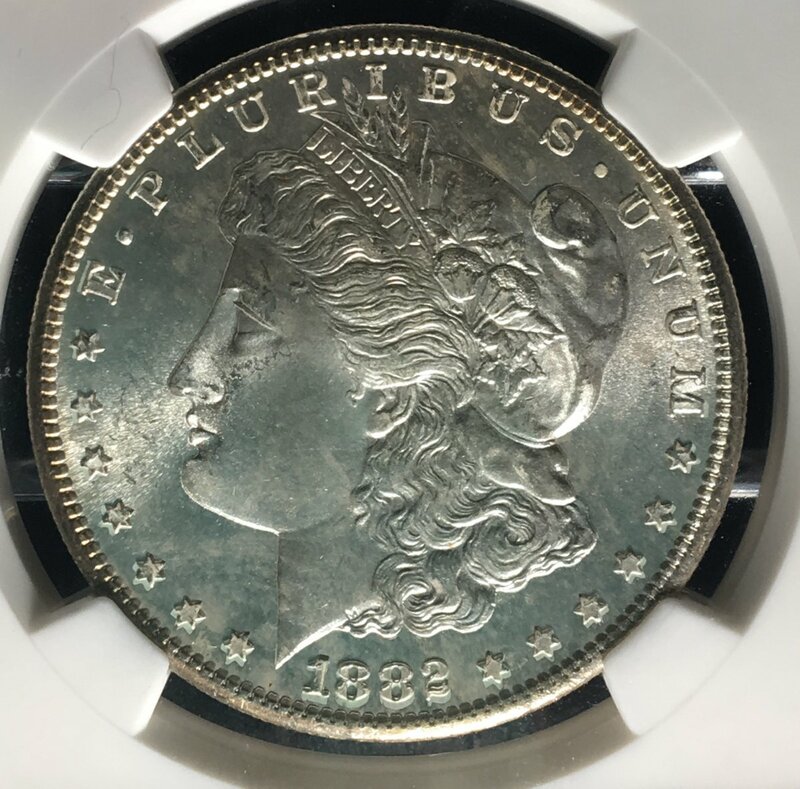 1882 S Morgan Silver Dollar... You Vs. NGC! The slab photo exactly matches the pics currently at the start of this thread. Beyond that, the grade astounds me. Yes, the pictures at the start of the thread are crops of the slabbed photos. Sorry I misunderstood what you meant frog, the original picture was originally the wrong coin, I just updated it. 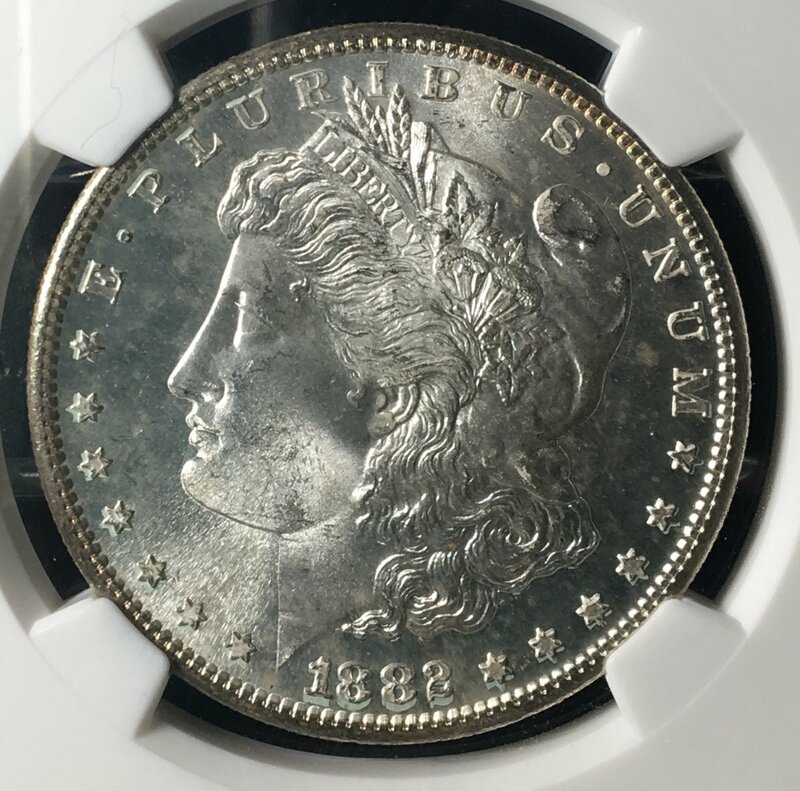 I guessed the obverse was MS-65 because of the scuffs on the eyebrow and in the field just to the right of the letter P. The reverse would easily MS-67 and maybe higher. 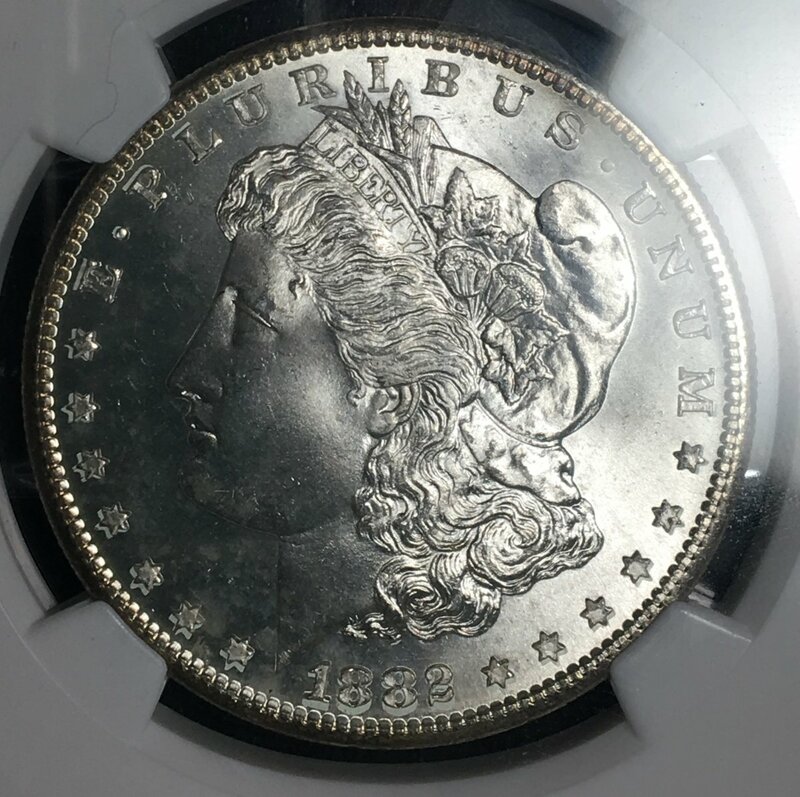 The only issue on the reverse I see is a partial ring of scuffs between the wreath and RICA & star from 3-to-4 o'clock. 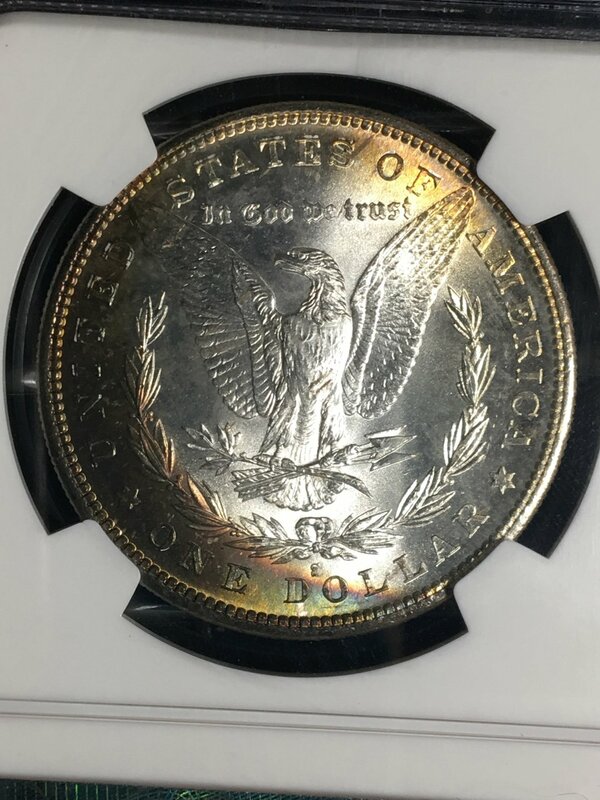 It looks like the rim of another coin came in contact there. 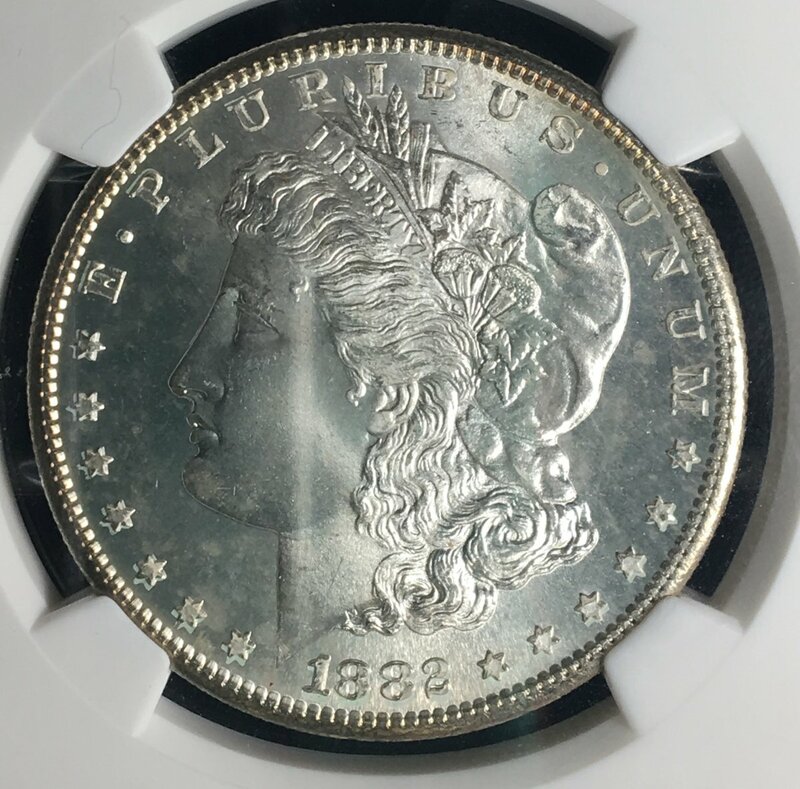 I noticed a few years ago that there are a lot of MS-66 & MS-67 common date Morgans being produced by NGC & PCGS. Just go look on eBay. You will see a wide range of quality for the same grade from top graders. I agree, the reverse carried the coin into 67, and certainly earned it the star. 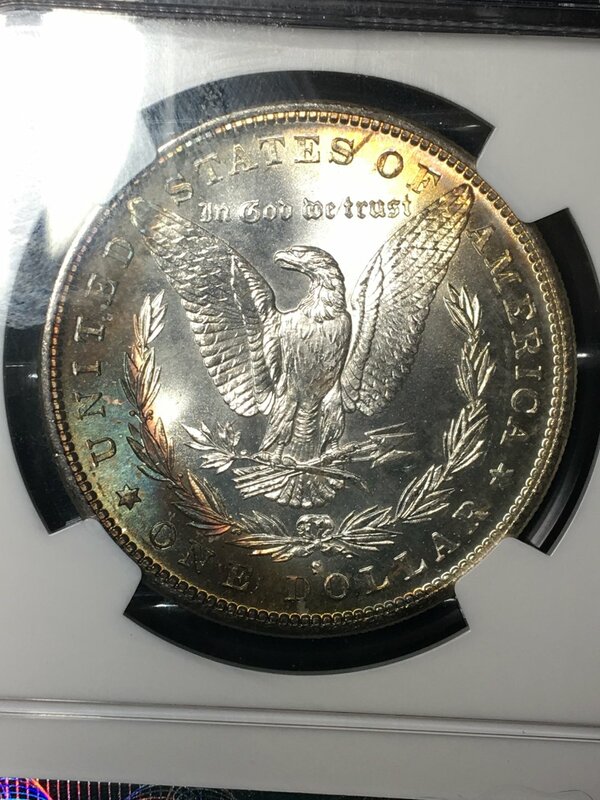 Honestly I believe the obverse can push a low 66, I still havent gotten it in hand yet but I have a feeling its going to look better than the pictures show. I've received this coin today. In hand it looks significantly better, almost every mark in the photos are greatly exaggerated, for the most part they're small luster breaks that are extremely light. The two exceptions are by the "P" and at the tip of the neck. 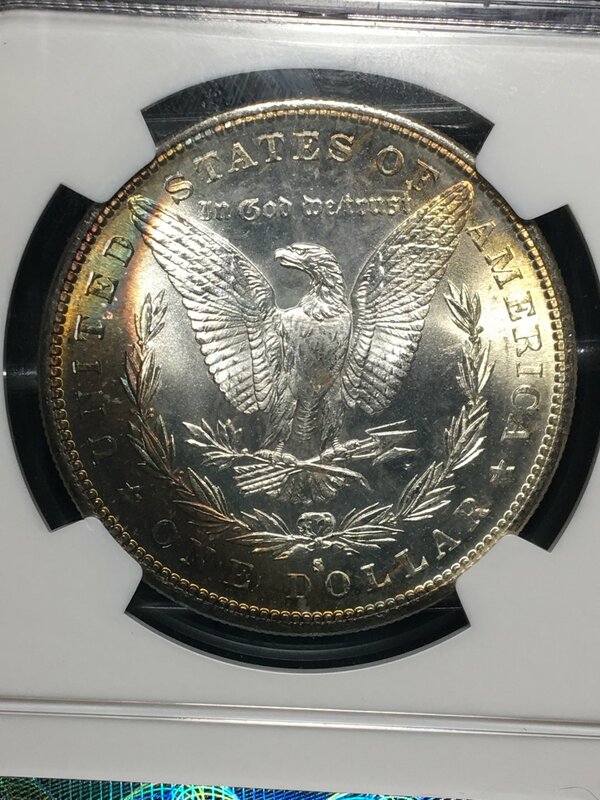 The seller photos capture the luster in it's best light, but the condition of the coin in it's worst light. The reverse is just as nice as the pictures show, extremely few marks. I believe this coin is a solid-high 66. The 67 was a gift, but not as egregious as I was expecting. Overall I'm satisfied, I paid a decent price for itand it definitely looks pretty to me.